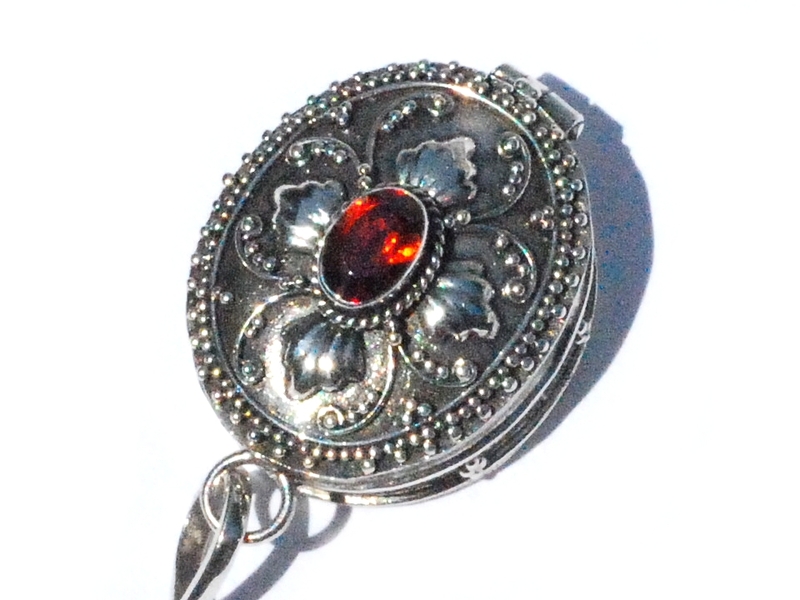 New 925 Sterling Silver Faceted Garnet Stone Hand Made Bali Prayer Box Pendant. These Bali prayer boxes are also known as a poison boxes, cremation jewelry pendants, or keepsake pendants. The keepsake prayer box has a functioning lid which opens and closes.